10 Great Ways to winterize your Dunkirk, MD home! It’s a smart idea to start thinking of ways to stay warm this season. Here are 10 straightforward tips to make your home more energy-efficient and reduce your heating bill. 1. Weather-stripping, insulation and roofing: Up to 40% of your home’s winter heat loss is due to air leakage. It may seem old school to many, but applying caulking and weather-stripping to interior and exterior of windows and doors, around the chimney, or where pipes or wires enter or exit your home is a low-cost way to weatherproof your home and save. Insulating pipes also makes them more efficient and less prone to freezing. Adding extra insulation in your attic saves energy too. And check your roof for missing shingles or damaged flashing around vents and other roof openings. 2. Draft snakes: Drafts from doors and windows can waste 5 to 30% of the energy from your home. A draft snake – anything from a rolled up towel to a more stylized stopper – is a quick and easy way to insulate an inside or outside door or the bottoms of windows. Or if you’re into DIY, you can make one yourself. 3. Storm doors: Energy Star-certified storm doors and windows can take some time to install but they dramatically drop in the energy your home uses over the winter months. 4. Air filters: Like flossing your teeth, changing air filters is something many of us often forget to do. But clean furnace filters are a must – especially when the heat is on all winter long. That’s because dirty filters restrict air in and out of your unit and make it much less efficient. Disposable fiberglass filters are inexpensive, so change yours once a month – if you have a habit of forgetting, mark your calendar or set a reminder on your smartphone. You may want to also consider permanent electrostatic or HEPA filters – they’re pricier but they trap a lot more bacteria, mold and other airborne particles. 5. Reverse fans: If your ceiling fan only gathers dust in the winter, you’re not making the best use of it. Most fans today have a switch that reverses the rotation of blades – counterclockwise rotation in the summer creates a cool breeze but, in winter, spin it clockwise and send rising hot air back down to warm your rooms. 6. Water heater: Many conventional water heaters are automatically set to 140°F but 120°F is more than hot enough and can reduce your heating costs by up to 10%. For even greater savings, consider a tankless water heater, which heats water only when it’s needed, or solar power, which costs nothing once the hardware is installed. 7. Programmable thermostat: For every degree you lower your heating in winter, you can save between 1 and 3% on your heating bill. That really adds up. If you forget to lower the thermostat when you sleep or leave the house, consider a programmable device. 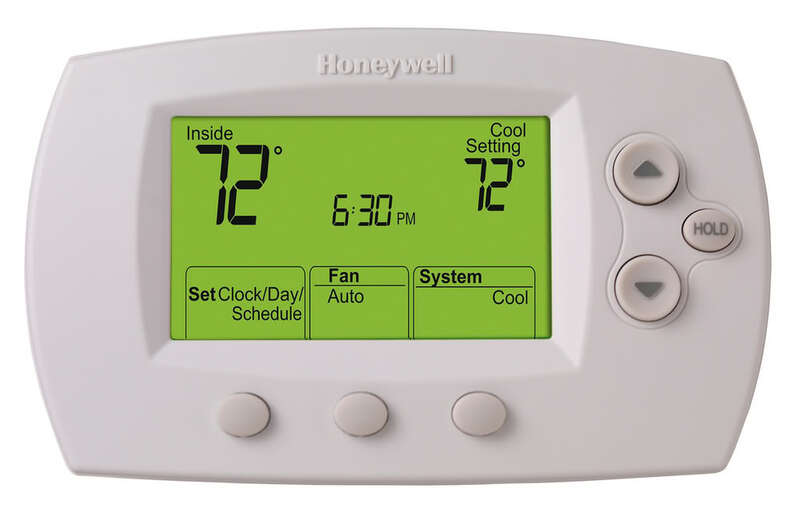 New high-tech learning thermostats that program themselves and can be controlled from your smartphone or tablet reduce your energy use by up to 20%. 8. Windbreaks: Trees planted around your home aren’t there simply for aesthetics. Evergreens are particularly effective as windbreaks, saving you up to 30% in energy costs. 9. Layering: Of course our ancestors didn’t have the luxury of HVAC units or solar-powered heaters. When the temperature dropped, they layered on pelts. While we’re not suggesting you revert back to wearing animal skins, a good, old-fashioned wool sweater or long johns can make your surroundings feel several degrees warmer. 10. Energy Audit: SMECO offers a home energy audit – an inspector will check your heating system as well as leaks, gaps, pipes and other inefficiencies. It can save you hundreds of dollars in the long run.